Before setting out on any cycle, adventure or journey, it is crucial that we consider how we will fuel the journey and have some reserves, “just in case”. You would never start a long journey on an empty tank, so you should put a little time into planning your Nutrition and Hydration for any event or cycle, however long. A little planning can make a real difference and determine if you finish, how you feel and of course this impacts not only performance but how much you actually enjoy the event. Generally cycling is an endurance event so your natural body stores of energy should be at 100% going into the race event. However, preparation for any event is vital in the days and weeks leading up to the cycle/run/event. In terms of Nutrition, you should look at filling your fuel tanks in the days before the cycle, in the best way possible. Having a Nutrition & Hydration Strategy before, during and after any event will give you great confidence and enhance the enjoyment of the whole experience. I will outline an easy to follow guide below for 2 different types of athletes, but first a word on quality, timing and hydration. Most endurance athletes have a fairly good capacity to burn fat as fuel, the lesser trained rider may not have such a high capacity. Either way both will need to rely upon stores of carbohydrate within the body. In the days and hours leading up to the cycle, it is crucial that riders eat “Nutrient Rich, High Quality Foods”. What do we mean by this? Foods High in Complex Carbohydrates – These are foods like pasta, rice, bread (which ideally should be wholegrain where possible) potatoes, fruits and starchy vegetables. This ensures that the energy in the foods is released slowly and steadily into the bloodstream. Nutrient Rich Foods These are vegetables, fruits and leafy greens. The more nutrients, vitamins and minerals per calories -the better. These contain essential nutrients which will help utilize energy, limit fatigue, and enhance recovery and performance. Keeping hydrated throughout the race is crucial not only in terms of how you feel and how you perform but also for your health. As we sweat, we lose valuable water and electrolytes which helps maintain water balance and effect muscle function. Becoming hydrated will affect how you feel and perform. As little as a 4% dehydration can effect performance by 30%. In order to protect against dehydration, it is important to consume electrolyte drinks before, during and after the cycle. Dehydration will well be intensified on the day if it is sunny or hot. But dehydration will not just occur when the sun is out. Depending on your effort and the amount you are sweating – you could also dehydrate quickly. Replenish at regular intervals. Assuming you go into the cycle at 100% – you should try to drink 1-2 litres per hour assuming it is not a very hot day. This will vary and obviously don’t completely fill your stomach with liquid. Try to drink small amounts at regular intervals. After the cycle, drink both water and isotonic drinks to help replenish electrolytes. 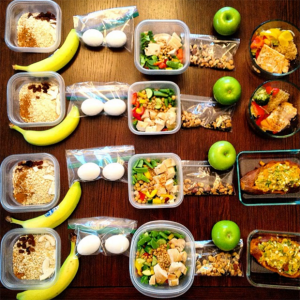 2-3 days before the event, eat regular sized meals rich in carbohydrates and nutrients with some lean protein. Do not eat excessively large meals as the excess will only be stored as fat. In the 24 hours before the cycle, again eat an evening meal rich in carbohydrates, fresh vegetables and salad. The morning of the cycle, eat porridge or a carbohydrate rich breakfast. Consume fruit and juices 1 hour before and get ready to race. During the cycle, consume foods high in natural sugars like fruit, bananas, dried fruit. You can make your own granola/cereal bars if you wish – we can put a link to a simple recipe. After the race be sure to re-hydrate and refuel over the course of the following 48 – 72 hours. Meals ideally should contain carbohydrate and protein. Below is a list of suggested food and snacks. Do not introduce new foods the day before the cycle, and do not eat really spicy food as this may cause stomach or intestinal disruption. · Wolegrain Breads, Cereals and Flours. Anyone attempting this distance should already possess a good knowledge to Sports Nutrition, Hydration, Timing and planning. The same principles apply in terms of meal timings in the days and hours leading up to the actual cycle itself. Athletes should focus on consuming adequate carbohydrates several days before the event as the process of storing and re-fuelling glycogen in the body can take several days. High carbohydrate snacks, fruit and isotonic drinks should be prepared and ready to consume at different stages during the cycle. Athletes need to find a calorific balance and research this through regular training. Meal planning and consumption should also be trained during this process. It is also hugely important to consume adequate liquids throughout the cycle. The longer the event goes on, the more important a Nutrition & Hydration Strategy become. Again, the key message here is quality, high nutrient foods at the right times. Recovery should start as soon as a rider is finished and move from liquids back to solids. Staging meals is better, so eating 2-3 smaller meals is better than eating 1 huge meal. Sleep and rest is also paramount before and after such an event. This will influence hormone balance, energy levels, performance and the ability to recover. 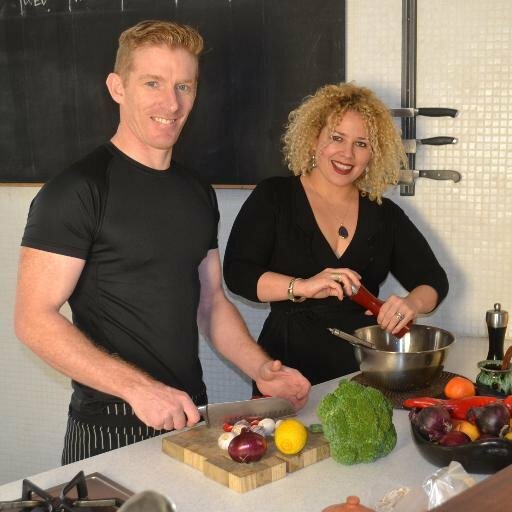 My Nutrition is a Nutritional Consultancy which was set up in 2013 by Tom Coleman and Jeeny Maltese. They have worked with teams and individuals who have competed at the very highest level in sport including European, World and Olympic Level. Most recently they have worked extensively with Irish Rugby and all the provinces within Ireland and John Kavanagh. They regularly deliver workshops and talks on Healthy Cookery, Elite Nutrition and performance.